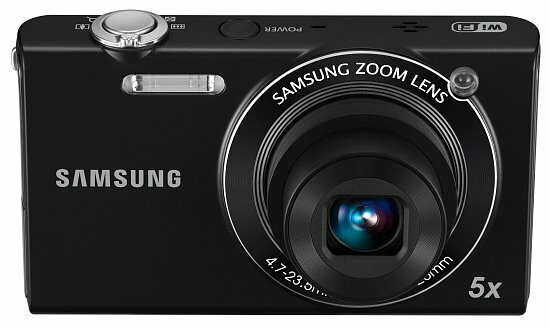 Samsung has released yet another Wi-Fi enabled digicam, with the introduction of their new SH100. 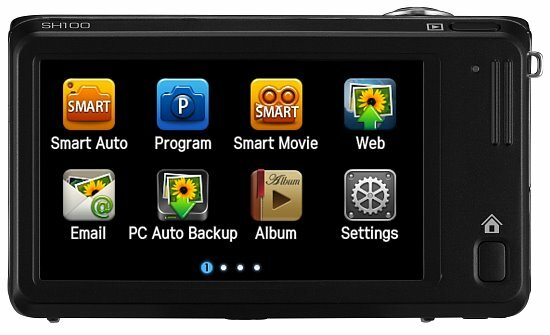 This ultra-compact shares many of it's features with the ST80 we reviewed in 2010, including 14-megapixels, a 3.0-inch touch screen LCD, Smart Auto, and 720p HD movie recording. The most intriguing option on the SH100 is its built-in Wi-Fi connectivity. When a Wi-Fi network is available, the SH100 can send pictures or video via email, or directly upload to social networks like FaceBook, YouTube, or Picasa. On top of the usual Wi-Fi capabilities we've seen on past models from Samsung, the SH100 also boasts the ability to share files between other Samsung Wi-Fi enabled cameras, other Wi-Fi devices, and even offers remote control operation with some Android powered smartphones (Samsung notes the Galaxy S). 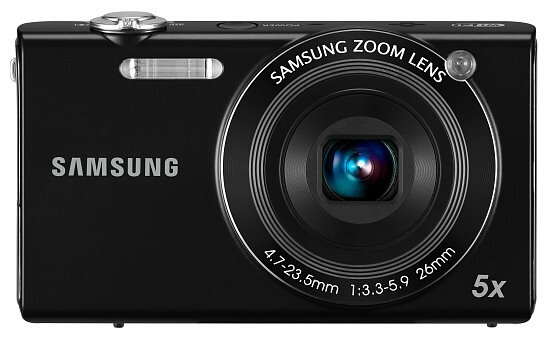 The SH100 also offers a 5x optical zoom lens, Samsung's AllShare (DLNA supported) connectivity, and much more. The SH100 will start shipping sometime in March, 2011 with a suggested retail price of $199.99 US.